“Audio Monitors” by Simon Blackmore. 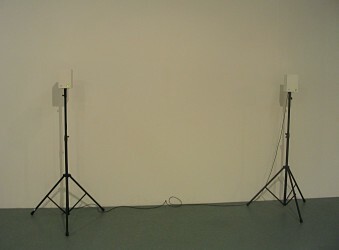 Resembling speakers, each monitor the sound levels in the space. 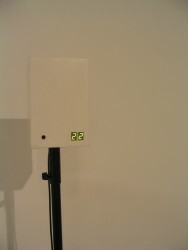 When the the sound level is low led counters start to count up in seconds, displaying the amount of quite time in the space.